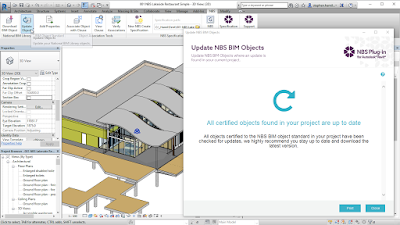 A free tool that enables you to browse thousands of consistent and high quality BIM objects from the award-winning NBS National BIM Library whilst working within Autodesk® Revit®. 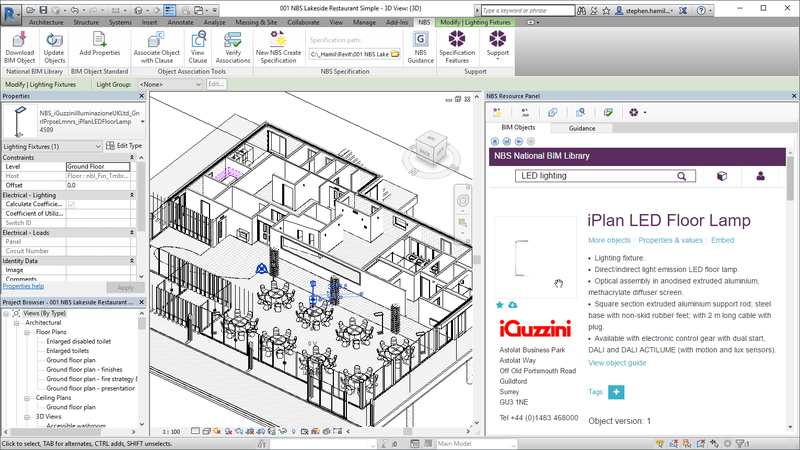 Using the unique NBS plug-in you can drag and drop selected objects directly into your model. 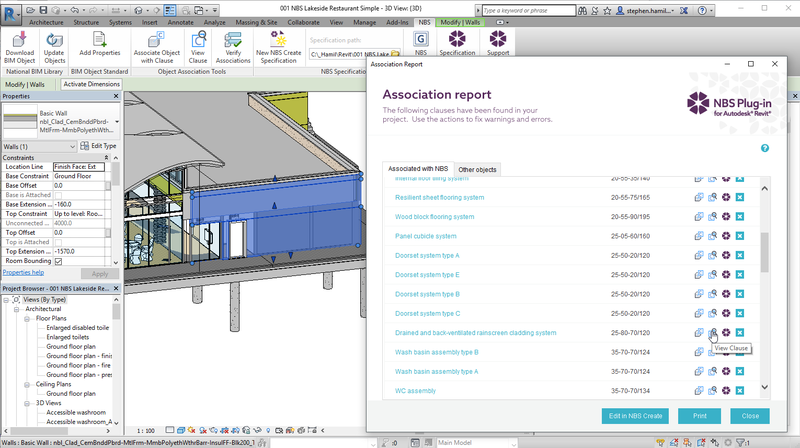 Adding content to your project: When searching for objects for inclusion in your project, the plug-in allows you to filter by your search criteria and then drag-and-drop your selected object directly into your Revit model. 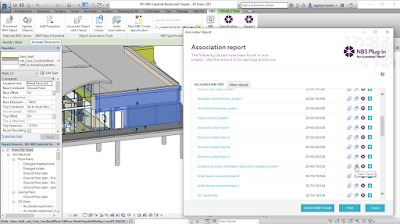 Once included in the model, technical guidance and relevant associated objects are then presented within the plug-in. Where an object is provided by a manufacturer, functionality is provided to communicate with that organisation to receive technical support. 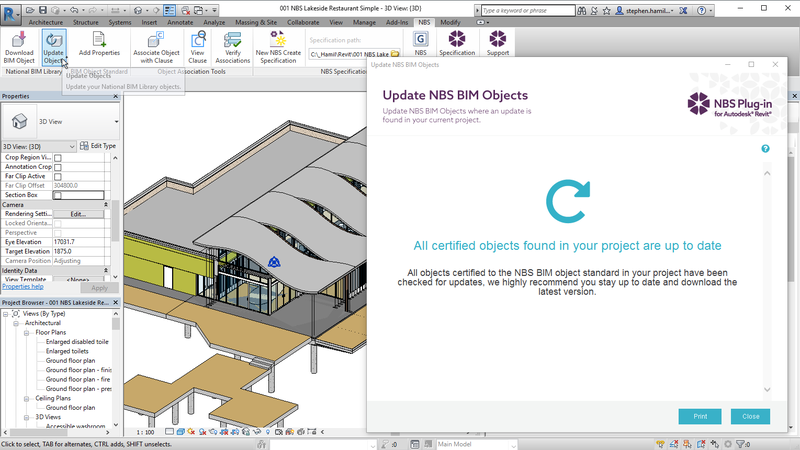 Checking you are using the latest available content: Functionality is provided to ensure that the objects in your model are always the latest versions available on the National BIM Library. The ‘check for update’ feature generates a report that lists which objects have updated versions and which objects represent products that are no longer available in the market. 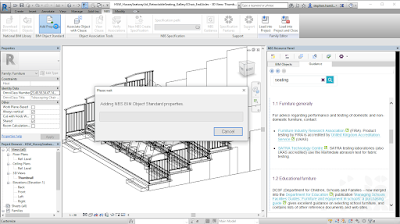 Functionality is also provided to add NBS BIM Object Standard parameters to the objects that you have authored within your practice. Coordinating your model and specification: If you are a subscriber to NBS (the UK’s national building specification provider) you can enable additional functionality to link your Revit model to your project specification. This increases the power of the plug-in so that you can access design guidance, view specifications, check for broken annotations and even generate outline specifications – all from within the Autodesk Revit environment. 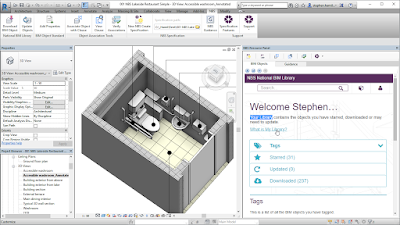 NBS are an Autodesk Solutions Associate. Both organisations are working closely together to develop the next generation of information and knowledge management solutions. The free NBS add-in is brought to you by NBS.